Working for an investment company provided some opportunities to invest in craft breweries. As I learned the brewing process, I was drawn to the enormous amounts of spent grain discarded by the craft breweries. I looked at the spent grain and questioned the potential value still in it. 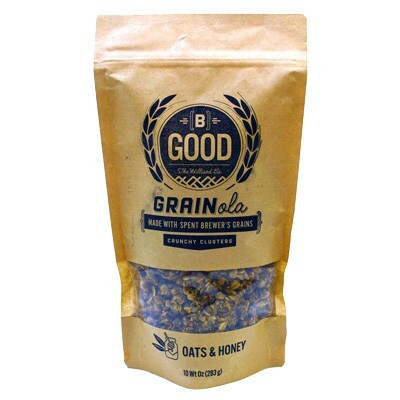 Just a few hours prior, this grain was perceived as a high-quality, carefully developed blend of ingredients. Could there be something left in it? — My passion for food and cooking took over from there — I approached a local craft brewery to discuss their brewing process, and I asked for some spent grain to tinker with in my kitchen. As we stood in the brewery smelling the aromas, and they described their selection of ingredients - like Vienna Malts and Chocolate Malts - my excitement grew. A few cooking tests quickly revealed that the spent grain did have a lot left to contribute in flavor. Researching it further revealed the health benefits of a rich natural fiber and protein source. This seasoning gives and kind of meat grilling and awesome taste!